Heeft u een vraag voor Nanwan Ocean God B & B? Goed gelegen in South Beach, is het Nanwan Ocean God B & B het ideale vertrekpunt voor uw excursies in Kenting. Op slechts 3.7 km gelegen vanaf het stadscentrum en 8.6 km van het vliegveld, trekt dit 3-sterren hotel jaarlijks vele reizigers. Bezoekers van het hotel vermaken zich met de volgende topattracties die in deze stad te vinden zijn: Fongchueisha, Kenting Ranch, Hengchun Tourism Hospital. 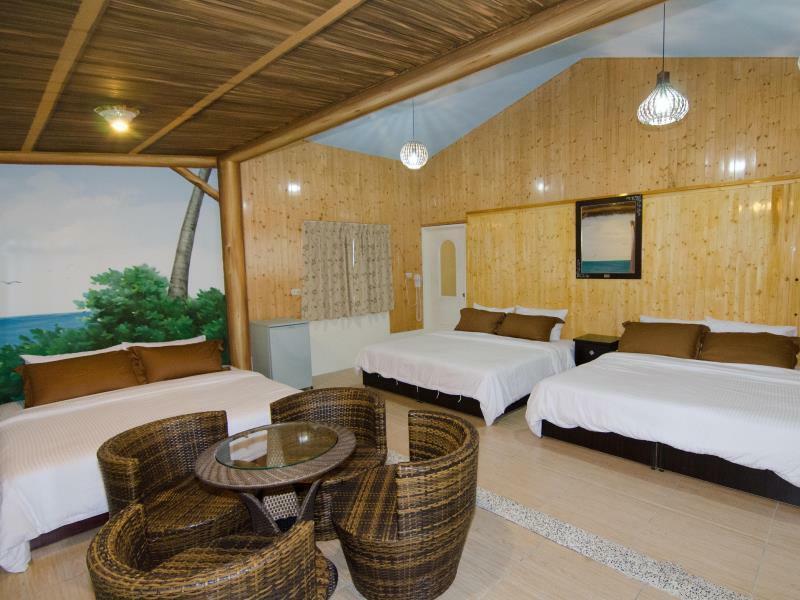 Het Nanwan Ocean God B & B biedt tevens vele faciliteiten om uw verblijf in Kenting zo aangenaam mogelijk te maken. Gratis wi-fi in alle kamers, privé incheck/uitcheck, taxi service, ticket service, snel in- en uitchecken zijn slechts enkele van de faciliteiten waarmee het Nanwan Ocean God B & B zich onderscheidt van andere hotels in stad. De ambiance van het Nanwan Ocean God B & B weerspiegelt zich in de inrichting van de kamers. plasma tv, internet (draadloos), draadloos internet (gratis), rookvrije kamers, airconditioning zijn slechts enkele van de faciliteiten die u ter beschikking staan. Het hotel biedt geweldige recreatiemogelijkheden die uw verblijf onvergetelijk zullen maken, zoals tuin. Met een ideale locatie en bijpassende faciliteiten, is het Nanwan Ocean God B & B voor veel gasten precies wat zij zoeken. Maximum 1 child under 12 years old stay for free if using existing bedding. The room is nicely decorated. Imagine sleeping under the sea. The owners are very helpful. Though the location is quite some distance from the town, the owner can take us there with reasonable charges. Breakfast was alright. It was a very nice experience at Nanwan Ocean B&B. The owners of the Minsu was exceptionally nice, we were 100% satisfied with our stay and would like to recommend all travellers especially with kids who are travelling to kenting to stay at nanwan ocean B&B. I was attracted by the room deco when I first read the hotel review by other guests. I arrived this place with the intention to watch sunset with my family. The hotel master gave me a great tip of where to see the sunset. I would recommend this place for its close proximity to various spots in Kengtin! We got the penguin themed room and stayed for three nights. We were very excited before going as the pictures in the listing made the rooms look very interesting and they did not let us down for sure. The owners of the place are lovely and they took really good care of us. Breakfast was simple yet delicious:) I would definitely recommended friends and family to live here if they are visiting kenting. Location wise, it's about a 7 min drive away from the night market. 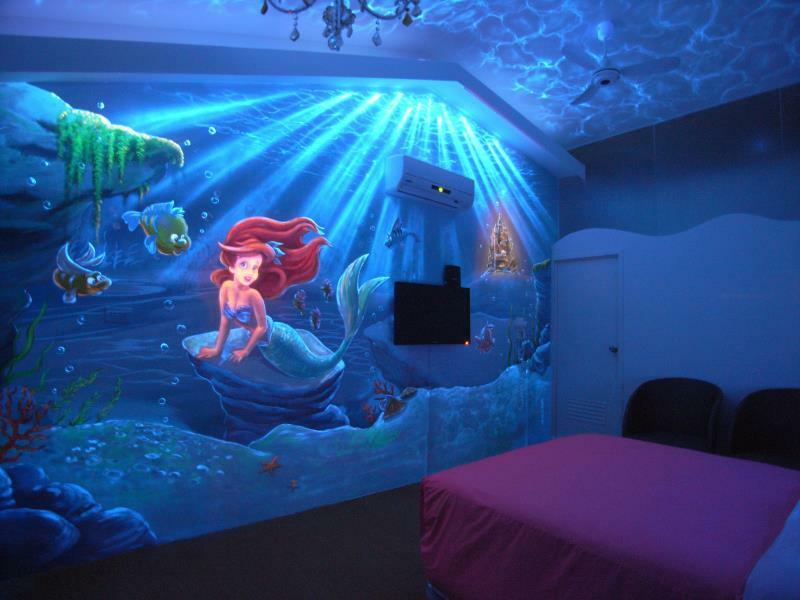 I've booked 4 rooms for my big family and every room has its own theme like mermaid under the sea, Christmas, Dolphins etc. It glow in the dark and has 3 dimensional effect. The host is very friendly and helpful. She helped us to arrange for transport on the day when we had no chartered transport. They are running a family business. They provide the best services to the guest such as being as a tour guide. Besides, they will advise and give comments on your itinerary. You can also book their car service which can bring you go anywhere. The car rental is really reasonable. Beside their boss, Mr. Wang is really a nice person to introduce the site seeing point. They also provide the place for you to BBQ, quite comfortable. Highly Recommended. we enjoy the stay at Nanwan Ocean God B & B. the room layout and design was good. the owners are very helpful and help us arrange reasonable cost of the transport pick up at Kaohsiung high speed rail station and save us a lot of time. Great host (When my son sprained his wrist, he offered his medicine and care, and also was very friendly to children too.) Location (Not near the popular spots of Kenting Streets) [However nearby has a horse riding attraction and convenience store.] 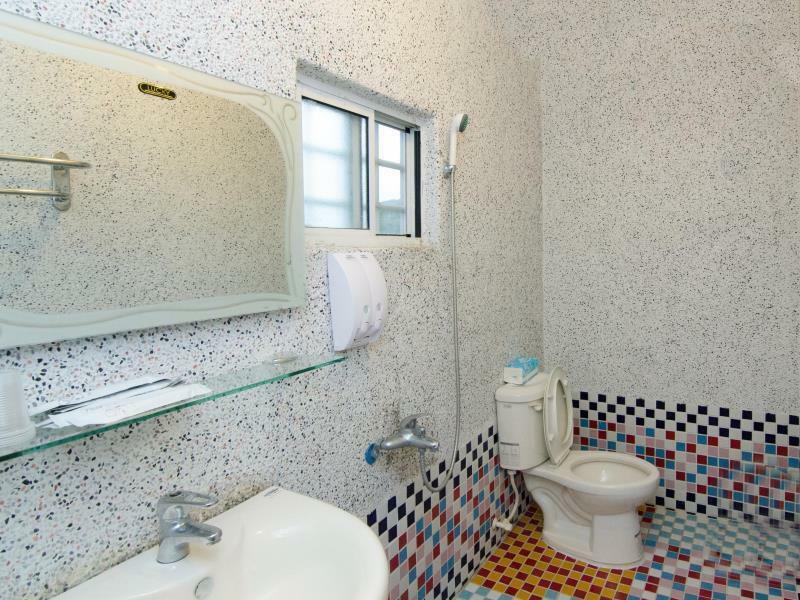 Bed is ordinary, Toilet can be improved (Its too spacious and the shower area tiling are very rough). 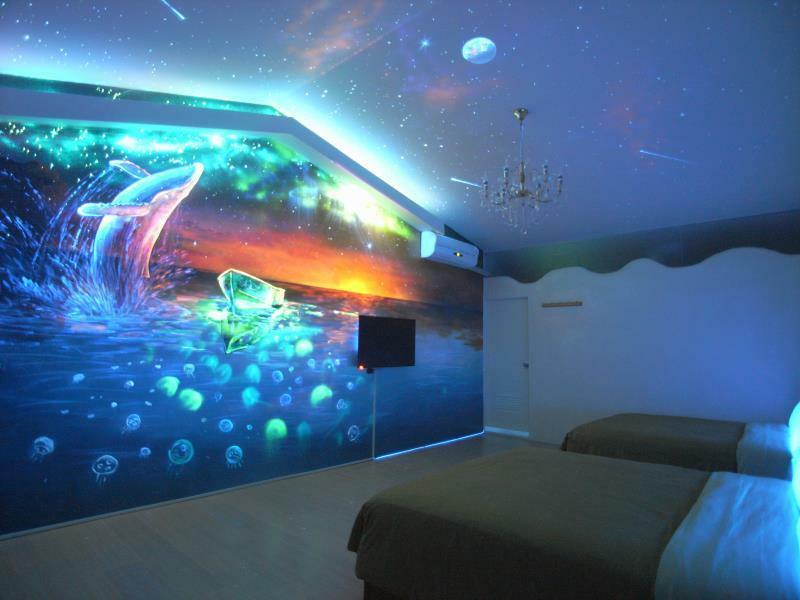 Room glow in the dark features are great for young children. Breakfast is the same as any other hotel in Taiwan. This homestay did not live to my expectation in my own view. _Con- the location of this homestay is far from Kenting night market, beaches or any other attraction. Even to the bus stop, is a 10min walk. The surround area have nothing at all if you wish to purchase any personal accessories or groceries. Even a taxi ride back to the homestay with cost you a sum of NT$400. _Pro- If you are looking for excitement like Go-Kart or Pin-ball, this location might offer you just a min walk to the area where you can find a couple of these excitement. Overall, this homestay are more recommended to local Taiwanese or traveller with self driving cars. As there are many homestays or hotels within the Kenting night markets, you may wish to note that cars parking is a menace.